We are blessed to live in the beautiful Finger Lakes region of Upstate NY. The rich farm land, tempered climate and abundant natural rain fall provide an ideal home for cabbage production. Planting usually begins in mid April and continues into early July. Harvest begins in early July and commences in mid November. Our storage is full by mid November so we have a full supply of cabbage throughout the Winter and into Spring. 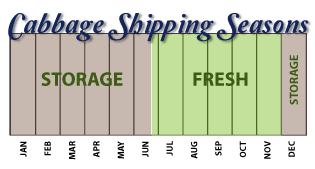 We are able to offer some of the largest, most dense cabbage varieties available. Processors have long preferred NY cabbage due to the unrivaled shelf life, and maximized yield and recovery during processing. Try some of our large, dense cabbage, compare it to “southern” cabbage and see how the shelf life, along with your yield and recovery numbers improve! 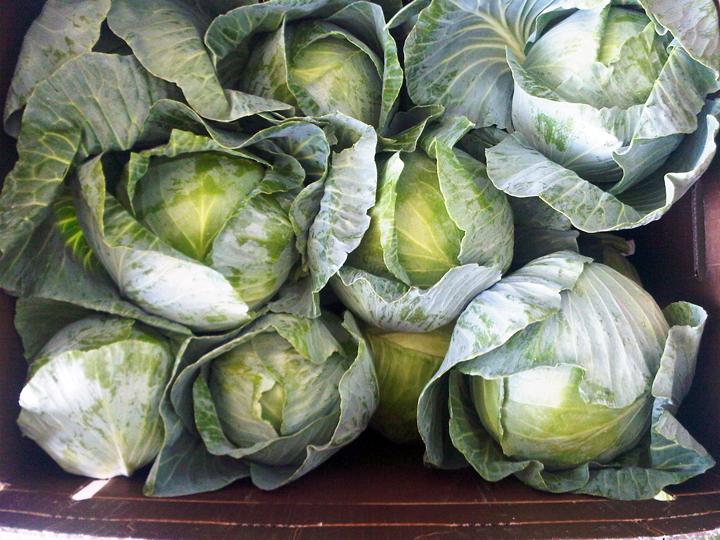 We offer the finest quality cabbage from NY on a 12 month basis.